The Hampton Inn Cleveland Airport/Tiedeman Rd. 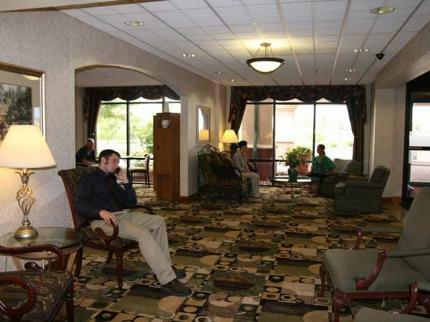 is located just 4 miles from Cleveland Hopkins Airport and 9 miles from downtown. The hotel is of a contemporary design. Guest rooms are appointed with modern light oak furnishings. The hotel is complete with a fitness center, pool, jacuzzi guest laundry and business center. There are 4 restaurants adjacent to the hotel including TGIFridays, Schlotzky's Deli, Don Pablo's and Steak and Shake.